United States Sports Academy President and CEO Dr. T.J. Rosandich, seated at right, recently signed a sports Protocol of Cooperation with Philippine Sports Commission (PSC) Chair William “Butch” Ramirez, seated at left, through which the Academy will work with the Philippines to strengthen the country’s national sports programs at all levels. 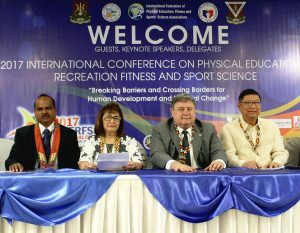 Also shown, standing left to right, are Dr. Perry Mequi, PSC consultant; PSC Commissioner Charles Raymond Maxey; PSC Executive Director and Attorney Sannah Frivaldo; Dr. Henry Daut, Philippine Sports Institute (PSI) deputy training director; and Marc Edward Valasco, PSI national training director. The United States Sports Academy recently expanded its commitment to global sport education through a successful tour of nations by President and CEO Dr. T.J. Rosandich that included meetings and new cooperative agreements with international sport leaders. Rosandich, who has been central to the Academy’s international programs for more than 30 years, made a month-long journey that included discussions with key leaders in sport, education and government in China, Malaysia, the Philippines, Switzerland and the United Arab Emirates. The Academy’s long history of supporting sport development in the Philippines took a major step forward as Rosandich signed a sports Protocol of Cooperation with Philippine Sports Commission (PSC) Chair William “Butch” Ramirez through which the Academy will work with the country to strengthen its sports programs at all levels, from youth and grassroots sports programs to the elite sport level. Under the agreement signed in Davao City, the Academy will work with governmental agencies and other organizations endorsed by the PSC to contribute to the national sports development program. “The signing of this protocol is of particular significance to the United States Sports Academy as we have had a long history with the Philippines,” Rosandich said. “We taught our international certification programs in sports management and sports coaching in the island nation in the early 1980s, so to return today for this program is meaningful indeed. United States Sports Academy President and CEO Dr. T.J. Rosandich, second from right, recently was keynote speaker for the International Conference on Physical Education, Recreation, Fitness and Sports Science, where he discussed the role of education in sports development with an international audience of leaders in sport. The event was held in Davao City, Philippines. While there, Rosandich signed a sports Protocol of Cooperation with the Philippine Sports Commission (PSC) through which the Academy will work with the country to strengthen its sports programs at all levels. “We when we came to the Philippine Sports Commission we launched the Philippine Sports Institute (PSI) with the hope of establishing and strengthening elite sports and grassroots sports programs,” Ramirez told the Davao City Sun-Star newspaper. United States Sports Academy President and CEO Dr. T.J. Rosandich, center, meets with Marwan bin Ghalita, left, president of the United Arab Emirates Football Association (UAEFA), and Dr. Khalid Al Hashimi, managing director of the UAEFA Football Association Academy (FAA), during a recent visit to the UAE to discuss the FAA’s success in educating coaches, administrators and leaders in football (soccer) in the UAE. The FAA was developed through a collaboration between the Academy and UAEFA. The Academy president visited the United Arab Emirates (UAE), where the Academy continues to play a key role in the enhancement of football (soccer) under a cooperative effort to train football administrators through a Football Club Operators License Program with the UAE Football Association (UAEFA). Rosandich gave a presentation entitled “A Role for Sports Education in National Football Programs” at the Conference on Innovation in Football, Education and Governance organized by the UAEFA. The talk stressed the importance of academic licensing programs and accreditation in sports education to improve the quality of coaching and administration in sports. He also met with officials in the program on topics including enhancements of the training program. The collaboration between the Academy and UAEFA led to the development of the Football Association Academy for Sports Management (FAASM), known as the Football Association Academy (FAA), which began operations in 2016. This effort includes football certification programs that offer professional preparation and training designed to meet the needs of coaches, athletes, administrators and operatives at all levels in the UAE football club system. The Academy is providing the faculty and instruction for the program.  The curriculum includes subjects such as sports administration, sports marketing, sports media, and facility and event management. Each subject has three levels of instruction through which successful students receive in succession a “C”, “B” and “A” level license. The ultimate objective of the program is to enhance football in the UAE by improving the quality of the sport’s management. In a recent meeting in Beijing, China, United States Sports Academy President and CEO Dr. T.J. Rosandich, left, signs a letter of agreement with Dr. Jie “Jack” Guo, president of Beijing Worldteam Sports Development and a leading sport entrepreneur in China, to work collaboratively to develop sports camps in that country. The Academy has extensive experience in sport education around the world, including developing sports camps in the United States. In the People’s Republic of China, the Academy president met with sports leaders in Beijing and Shanghai, where key discussion themes included possible new initiatives to improve the physical fitness and social development of China’s youth, and how the Academy might be involved in those efforts. These included an agreement in principle for the Academy to be involved in development of sports camps based on its experience in this field. Discussion also focused on China’s possible development of a school of sport and the role the Academy might play to assist in its unique role as American’s only freestanding sport university. In Shanghai, discussions focused on the 2018 rendition of the International Diploma in Sports Coaching (IDSC) program. Conducted by the Academy and the Shanghai Administration of Sports (SAS), the program provides classroom instruction, experiential learning, and educational travel to the United States for former elite athletes in the Shanghai area to prepare them for careers in coaching and athletic related fields. Discussions in the Southeast Asian country of Malaysia focused on the recent Academy program that is contributing to the training of the people responsible for improving the health and life skills of youth of the nation. Launched in 2012, The Academy’s International Diploma in Physical Education and Sports Coaching (IDPESC) program has trained thousands of teachers in critical physical education and coaching skills. The latest edition of this program will commence in Malaysia on 13 November. Concurrently, the Academy’s “Train the Trainers” (TOT) program assists the Malaysian government in its National Service Training Program (NSTP) is being staged there. The Academy’s instructors are responsible for training the instructors who in turn teach sport and physical fitness skills to more than 250,000 Malaysian youth each year as part of the country’s NSTP curriculum. The partnership is one of many collaborations between the Academy and Malaysia dating back to the early 1980s. The Academy is exploring additional initiatives with the country, including a program to contribute to the physical fitness of the nation’s police force. The Academy president met with several key international sport and education leaders in Switzerland to discuss sport education initiatives. The Academy continued talks with the European University Business School regarding sport education collaborations. Discussions also continued with the International Labor Organization (ILO), whose interest in sport lies in its potential to elevate humanity through helping the United Nations achieve its Sustainable Development Goals (SDGs). The Academy will continue to build on both of these cooperative educational efforts. Though not a part of the current trip, the Academy’s longtime relationship with Thailand to educate sports leaders in that country is continuing this coming year as the Academy is conducting its International Certification in Sports Coaching (ICSC) and International Certification in Sports Management (ICSM) programs in Bangkok, programs that have been in place for more than a decade. Both certification programs prepare participants for leadership roles in sport. The ICSC program includes a wide range of coaching and related administrative skills, while the ICSM program includes management topics such as sports event planning, marketing and public relations, and facilities. Approximately 50 students annually are drawn from the Sports Authority of Thailand (SAT) and its affiliated sport organizations around the country to attend each of the certification programs, with a total of 100 students involved each year. Following the conclusion of the classroom portion of the program, which is provided by Academy instructors, the SAT selects the best students from each program for a special study tour of sport in America. A delegation of approximately 15 students and administrators from the SAT takes part in an educational tour of various sports organizations and venues for two weeks from coast to coast in the United States, including a study visit to the Academy. The coming year will mark the 12th year of the Sports Study Tour. The Academy and the SAT have a Memorandum of Understanding to extend cooperation in sports education and training through 2020. While not a stop on the latest tour, the Academy recently has made progress toward boosting sport education and development in Africa. Gabon: In March, the Academy signed a new five-year cooperative agreement to strengthen the national sports program of the central African nation of Gabon. The Academy will work with Gabon on numerous enhancements including youth sports, sport facilities, national teams, and strength and conditioning. The Academy’s work in Gabon goes back to 2010 and the signing of a protocol for cooperation to develop sport in that country. This led to a project in which the Academy conducted a facilities legacy study on how to make best use of the Sino-Gabonese Friendship Stadium in Gabon’s largest and capital city of Libreville. The 40,000-seat stadium was given to Gabon by the Chinese government and used for the Africa Cup of Nations (AFCON) soccer tournament in 2012. Senegal: The Republic of Senegal and the Academy have entered into discussions for the Academy to do a comprehensive assessment of Senegal’s national sport program as well as consideration for how the Academy’s international education programs may be used as a tool for sports program development in the West African nation. His Excellency Matar Ba, Senegal’s Minister of Sport, met recently in Dakar with Academy Board of Trustees member Joseph Szlavik, who shared his thoughts on how the Academy’s sport education expertise may best be used in Senegal. These discussions support the vision of Senegal President His Excellency Macky Sall to enhance the country’s national sport effort. The meeting between Minister Ba and Szlavik was arranged by His Excellency Babacar Diagne, Senegal’s Ambassador Extraordinary & Plenipotentiary to the United States, who recently met with Academy President and CEO Dr. T.J. Rosandich in New York City. Minister Ba and Szlavik reached an understanding that the Academy will undertake a thorough assessment of Senegal’s national sport effort to guide plans for the future development of sport in the country. The assessment will look at all aspects including facilities, infrastructure, programs and personnel.